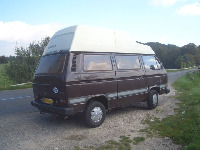 VW Bus Description: This was my 1985 Westfalia Joker known as "Brownie" for obvious reasons ! 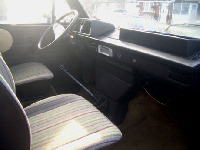 It had a 1.9 Fuel Injected engine that was really fast but reasonably economical returning between 25 and 30 miles per gallon depending how it was driven. It had a 5 speed box. 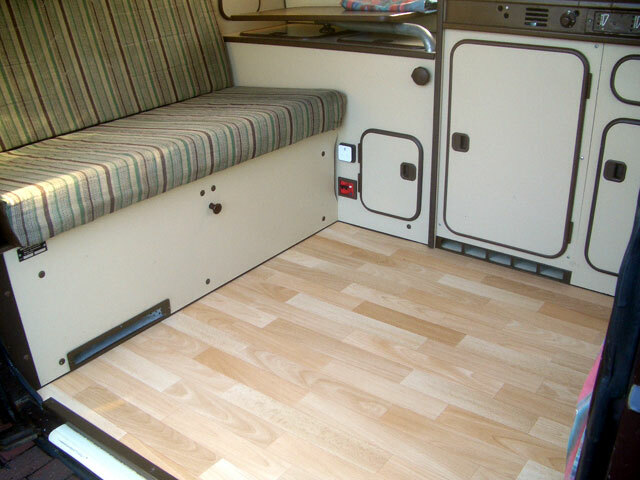 The van was pretty much original apart from the lino flooring as the factory flooring was still there but is not very attractive. 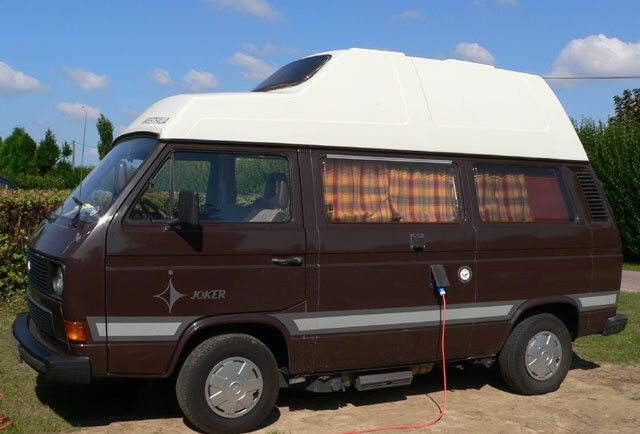 I think the curtains were also not the originals but they match well with the brown. 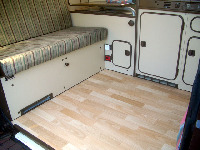 All in all a really nice van to drive.